I grew up in Western New York State about 40 miles South of Rochester. To my childhood self, going to Rochester was “going to the city.” Rochester was where I headed for big touring concerts, independent movies and museums. On my rare trips home these days, one of my favorites and one of the more unique museums to visit in Rochester remains the National Museum of Play. 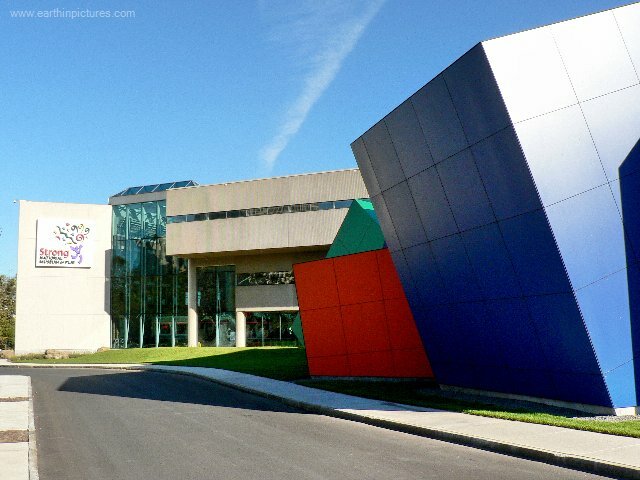 Opened in the early 1980s, the National Museum of Play grew out of the Strong Museum and the collection of industrial heiress Margaret Woodbury Strong. The museum originally housed the enormous doll and toy collection Strong acquired over decades of worldwide travel in the first half of the 20th-century. In the past 30 years, the mission of the museum has evolved to be one of the preeminent repositories and exhibitors of toys, games, video games, dolls, action figures, children’s books and all things devoted to occupying the childhood development of children through that most basic of juvenile pursuits: play. Among its collections, the museum has risen to prominence in the past few years with the opening of the International Center for the History of Electronic Games. The ICHEG publicly displays some 140 playable classic video arcade games and also maintains an archive of hundreds of thousands gaming systems, games, advertisements, manuals, corporate documents and other ephemera devoted to video games from their earliest development to their contemporary innovations and cultural dominance. The museum made news this past week with the announcement of the temporary display of the “Dalluhn Manuscript” (photo at right) in their newest permanent exhibit called Game Time! This space will eventually devote the entire second floor of the museum to the history of American play through a series of interactive exhibits. The Dalluhn Manuscript is important as what is the earliest know draft of what would eventually become the world-changing game Dungeons & Dragons. 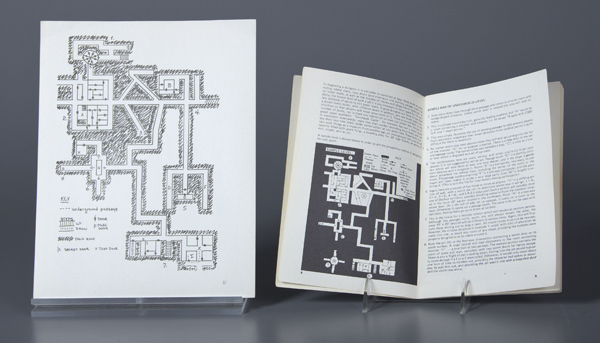 The manuscript is on loan from Jon Peterson whose massive book “Playing At The World” took the scholarly investigation of the history of strategic gaming to new heights when it was published last year. Peterson has updated his book with a free appendix available through his blog that delves deep into the significance of the manuscript on display in Rochester. If you’ve read his book or have any desire to take a rare peek into the minutiae of how D&D came about, seeing this piece of gaming legend is a must-do over the coming months. Think of it as the Magna Carta or a first draft of the Declaration of Independence for gamers and you’ll have some idea of what a treasure these few pages are. In general, I would urge anyone interested in games and play to visit the National Museum of Play in Rochester. It’s one of those rare museums where people of all ages will truly find something that speaks to them. If you can’t make it to Rochester, take a spin through their online archives where thousands of photos of toys, dolls and games are on view. With centuries of play behind us and unknown adventures ahead, a trip through our shared history is almost as enjoyable as a few hours of play itself.